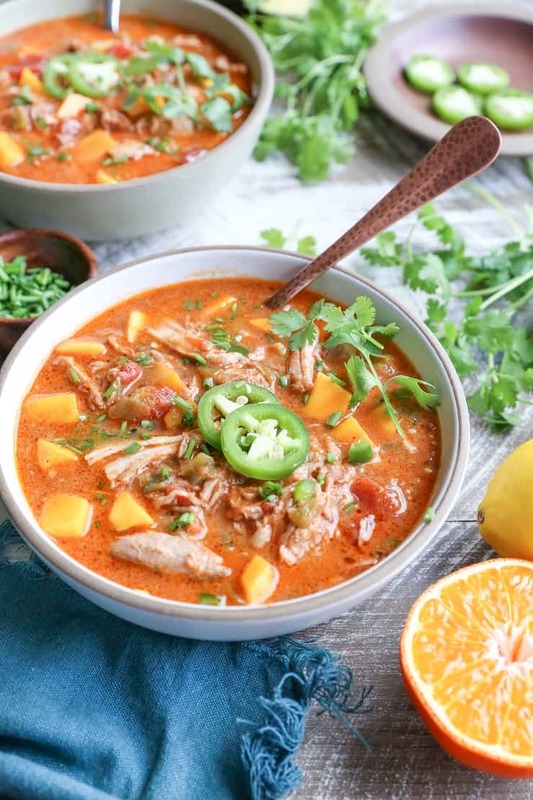 Comforting citrus pork chili with mango made easily in your slow cooker. This crock pot recipe is easy to make ahead of time for any night of the week, or any special occasion. 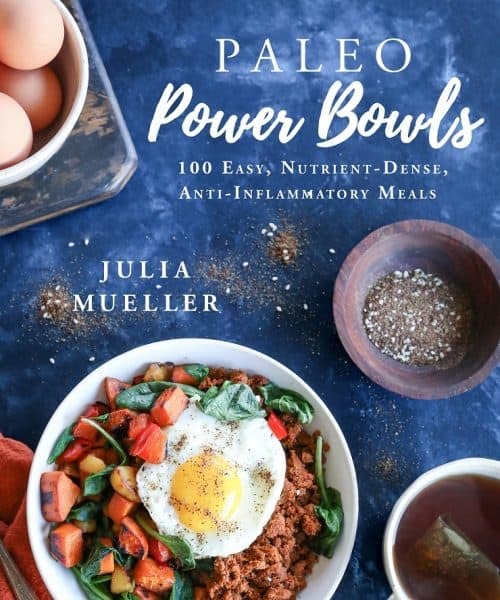 The recipe for this mouth-watering chili comes from Natalie Perry’s new cookbook, The Big Book of Paleo Slow Cooking! Oh hey, Tuesday! My, how time has flown by since my last recipe post! Garrett and I met his family in Oregon for the long weekend, where we spent a few days wine tasting before running a half marathon together. Something about wining, dining, and exerting yourselves as a team is so bonding! This was my third half marathon, and I didn’t do as much pre-training as my past events. Because of this, I didn’t set a goal, but I did want keep up with Garrett and his brother, because running with people is far more entertaining than running alone, can I get an amen? So in sticking with their pace, I actually ended up setting a personal record! Insert bells and whistles emoji here. The whole weekend was a complete blast, and although summer is unofficially coming to a close, I’m holding onto the warm summer months with all my might. While summer may be inching its way out the door, I’m excited for the cozy fall months, football season, and the comfort foods that ride along with colder weather. Which brings me to my next topic of conversation: chili. There’s just something about the dish that I find incredibly shareable, satiating, and comforting. WUHL, let me just tell you about my favorite chili recipe I’ve ever come across in all my years. THIS ONE! This recipe comes from Natalie Perry’s new cookbook, The Big Book of Paleo Slow Cooking. If you follow my Instagram stories, you saw me rave all about it, as the book is absolutely amazing! 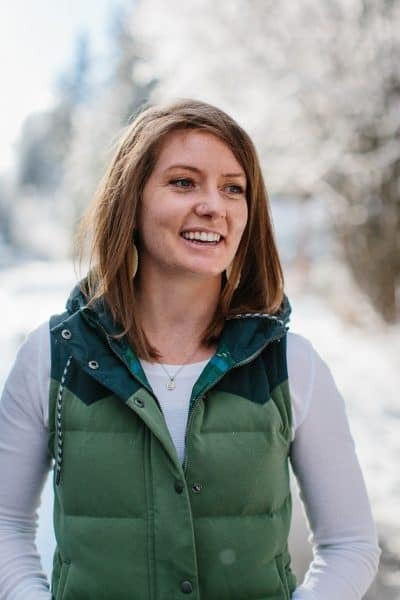 I’ve known Natalie for almost six years – basically since I started The Roasted Root – as her blog, Perry’s Plate was one of the first blogs I started following. It just so happens that Natalie lives in Reno, too, so we’ve met up a few times over the years and have stayed in touch. Her work is incredibly inspirational, her recipes are squeaky clean yet so healthful, and she’s so sweet and genuine to boot! 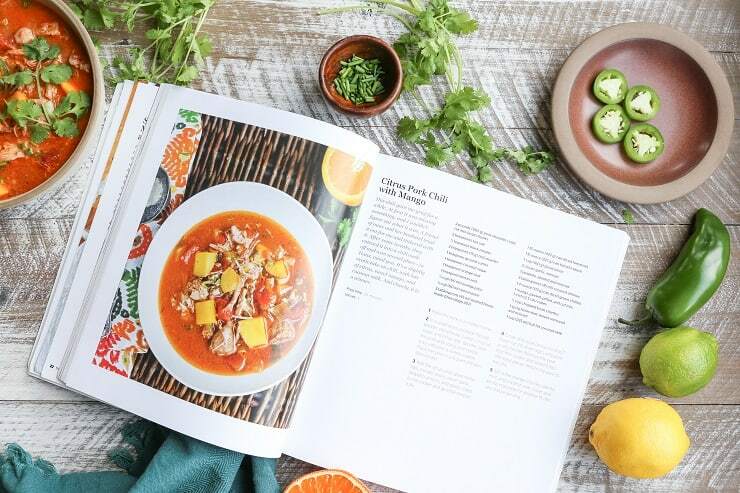 Natalie’s book includes 200 recipes for everyday dinners and weekend feasts, tips on optimal slow cooking and what type of slow cooker to use, and her photographs are gorgeous and enticing! As I went through her book, I couldn’t stop taking note of recipes I wanted to make. I do a lot of slow cooking year round (particularly in the winter), as I find the process incredibly convenient and the end result is always over-the-top flavorful and delicious. Combine whole food meals with the art of slow cooking, and you instantly have my full attention! The book is broken into dish type and meat type. There’s a huuuuge section on soup, and within the dinner section, you’ll find recipes for poultry, beef, pork and lamb, and seafood. There is also a section on vegetable side dishes, and even a section on dessert! I love that Natalie uses all sorts of seasonal ingredients, making it a super useful resource for slow cooking any time of year. And you guys, the list goes on. I water at the mouth each time I even take a glimpse at the cookbook! Okay! Onward to this chili! 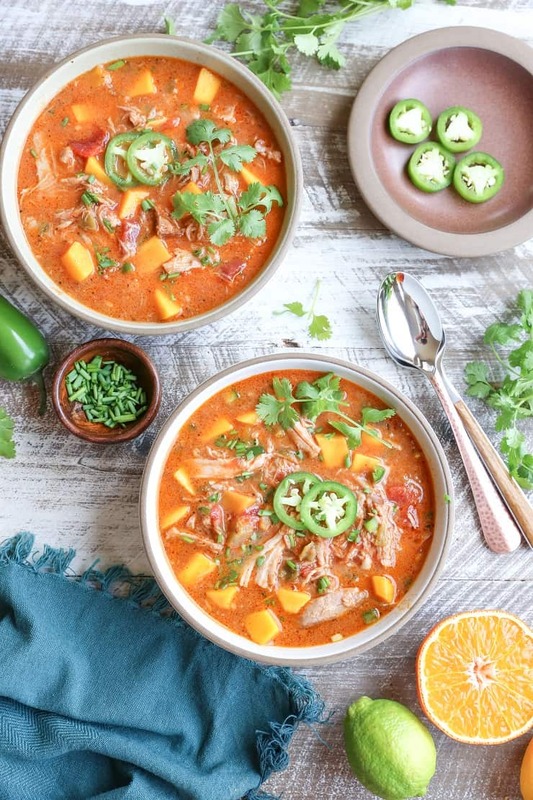 This Citrus Pork Chili with Mango comes together seamlessly in your crock pot and the flavors are so big, it’ll bring you to tears! The shredded pork? So tender and tasty. The tangy citrus, creamy-sweet mango, and spicy kick? Perfect compliments to the pork, and a perfect balance to each other. Way I see it, this chili is an awesome dish to set up in the morning and enjoy with friends and family during any football gathering or simply any night of the week, any time of year. I made a few changes to the recipe, only out of laziness. For instance, Natalie’s recipe calls for a pork shoulder roast cut into chunks. I left my roast whole and shredded it once it was finished slow cooking just to save the step of chopping the roast (my grocery store didn’t have a pre-chopped roast). I also used pure maple syrup instead of coconut sugar, but you can easily swap it back. I left my chili cooking all day (upwards of 10 to 12 hours), which resulted in incredibly tender pork and a super flavorful chili. Garrett and I both ate the chili with a little bit of forbidden rice, which was amazing for soaking up the flavorful broth. The recipe makes a lot (enough to feed 6 to 8), and freezes well! Garrett and I powered through the entire batch in a few days because we loved it so! 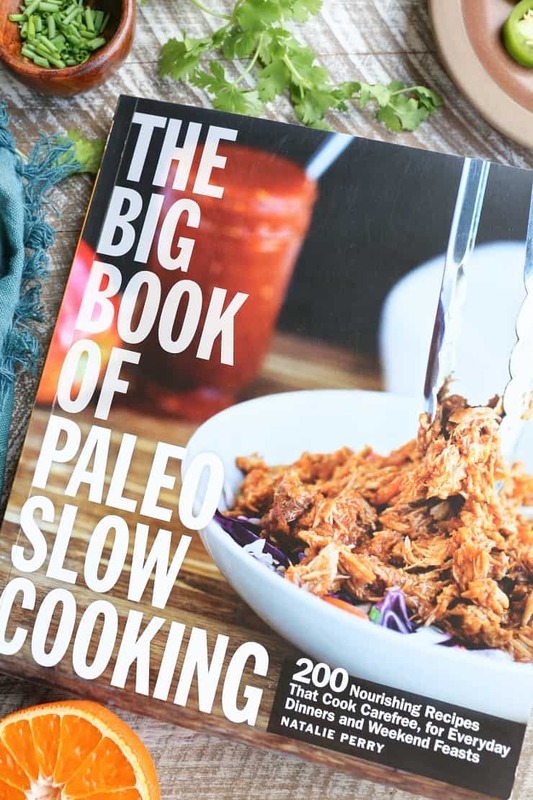 You can pick up your copy of The Big Book of Paleo Slow Cooking right meow on Amazon! Place the pork shoulder roast in your crock pot and sprinkle with sea salt, chili powder, and ground cumin. Add the next 8 ingredients (diced tomatoes through ghee) and stir well. Secure the lid on your slow cooker and cook on low for 6 to 10 hours, or on high for 3 to 4. Transfer the pork shoulder to a cutting board and use two forks to shred it. Transfer the meat back into the crock pot, and add the mango, cilantro, and coconut milk. Continue cooking another 15 minutes before serving. You’re weekend sounded great…especially the wine tasting in Oregon part. 🙂 I love Oregon pinot noir! That’s great that you did so well in the race too…congrats! 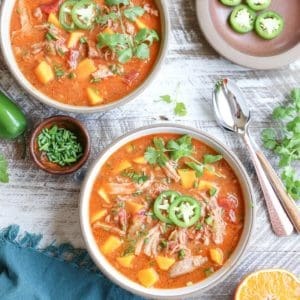 This pork chili looks incredible and I love the fruity element along with those spices! Congrats on the PR, lady! Seeing you smash out these half marathons is inspiring me to sign up for a race. Probably a 5k though, lol! I can’t imagine running 13.2 miles at this point. It definitely helps to have someone to run with and B is the opposite of a runner. He has tree trunks for legs. Boy ain’t going nowhere fast. The citrus is a such fun twist on this chili! It’s perfect for these warmish, slightly cool days before fall arrives! This was really good and different! I made it last night for dinner with my parents over and they liked it too. Super easy! Have you ever tried using frozen mango when mango isn’t in season? I wonder if that would still be good? I haven’t tried using frozen mango, but I think it would work just fine! I would recommend thawing it before using it. My only concern is frozen mango tends to be more tart (less sweet) than fresh mango, so you may want to keep that in mind 😀 Hope you love the chili!